Chevy’s redesigned light-duty Silverado 1500 made an early year debut. They have also introduced the new 4500 and 5500HD models while was also spotted testing the new generation of the 2500 and 3500HD models. However, the mid-size Chevy Colorado hasn’t been spotted yet. 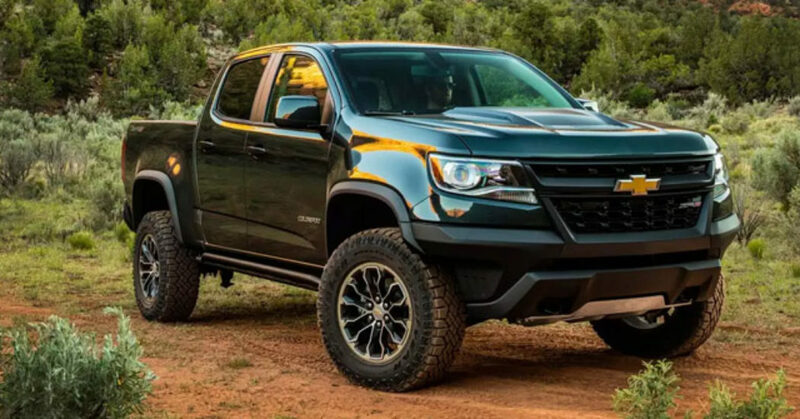 Chevy hasn’t also revealed the details about the 2019 Chevrolet Colorado. The return of this model and its twin Canyon in 2015 marked the revival of the mid-size segment in the US. And now when the new Ford Ranger returned the stateside, GM is also expected to make improvements to its mid-sizers. The refreshed Colorado could arrive for the 2019 model but may also wait for the last model year of this decade. The visual changes are expected to follow the pattern of the all-new, light-duty Silverado. The interior should also get refreshed materials and upgraded equipment. Engines will likely stay the same but with possible upgrades and new transmission system. The 2019 Chevrolet Colorado could benefit from the mid-cycle upgrade but it will return on the same platform which is also used by the GMC Canyon and global Colorado truck plus by several SUVs. The changes we expect to see on the new Colorado should get the inspiration from the all-new Silverado 1500 and brand’s recent SUV models. The front section should get slimmer headlights combined with the new grille design. Changes should be seen on the front and rear bumpers as well and the design of the taillights should also get a slightly different form. On the other hand, the side body sculpting will likely stay unchanged as well as the dimensions of the truck. Chevy will also offer the same body styles and cargo bed versions. The interior of the new Colorado should benefit from fresh materials and new textures. The truck will also get the latest infotainment platform and offer more standard features. The new version should also bring more active safety systems which Ford offers in its new Ranger. The current version can be had with the forward collision warning and lane departure warning. However, the truck could gain the automatic emergency braking and more systems to match the new Ranger. The Chevy Colorado has powerful and efficient engines and plus delivers well-balanced handling and steering. It also offers upgraded off-road hardware in some trims. The 2019 Chevrolet Colorado will likely stay loyal to current engine options but new powertrains could bring some efficiency and performance upgrades. The current base version, a 2.5-liter four-cylinder makes 200 hp and torque of 191 pound-feet. It is pair with the six-speed manual or automatic gearbox. The 3.6-liter V-6 boosts to 308 hp and 275 lb-ft of torque and uses 8-gear automatic. The torquiest version is a 2.8-liter Duramax diesel paired with the six-speed automatic. For the new model year, the Colorado could benefit from some power and torque upgrades plus additional efficiency and performance boost could come from the new 10-speed automatic transmission. The 2019 Chevrolet Colorado should show what it has to offer against the new Ford Ranger by the fall. The price should go slightly upward and start at around $22, 000.